Retailers have made headlines for raising their minimum hourly wages in quick succession — CVS to $11, Costco to $13, Target to $15 by 2020 — while 29 states and the District of Columbia now require that employers pay more than the federal minimum wage of $7.25 per hour. But economists say those gains have not translated to higher wages among mid-level workers. Walmart spokesman Justin Rushing said the “vast majority” of the company’s U.S. employees make more than $11 an hour. 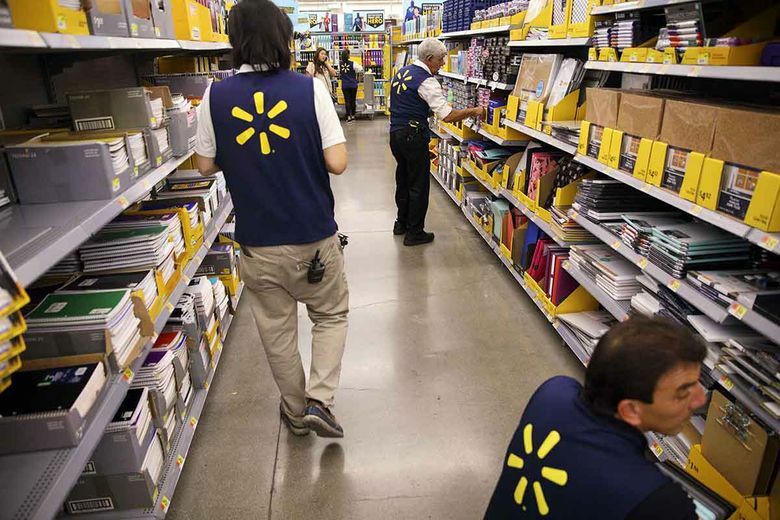 “In general, every Walmart associate receives a raise each year,” he said in an email.